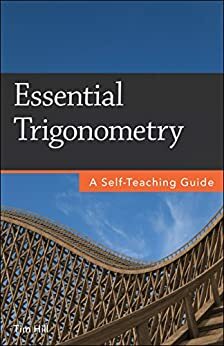 This no-nonsense guide provides students and self-learners with a clear and readable study of trigonometry's most important ideas. Tim Hill's distraction-free approach combines decades of tutoring experience with the proven methods of his Russian math teachers. The result: learn in a few days what conventional schools stretch into months. Teaches general principles that can be applied to a wide variety of problems. Avoids the mindless and excessive routine computations that characterize conventional textbooks. Treats trigonometry as a logically coherent discipline, not as a disjointed collection of techniques. Restores proofs to their proper place to remove doubt, convey insight, and encourage precise logical thinking. Omits digressions, excessive formalities, and repetitive exercises. Covers all the trigonometry needed to take a calculus course. Includes problems (with all solutions) that extend your knowledge rather than merely reinforce it. Tim Hill is a statistician living in Boulder, Colorado. He holds degrees in mathematics and statistics from Stanford University and the University of Colorado. Tim has written self-teaching guides for Algebra, Trigonometry, Geometry, Precalculus, Advanced Precalculus, Permutations & Combinations, Mathematics of Money, and Excel Pivot Tables. When he's not crunching numbers, Tim climbs rocks, hikes canyons, and avoids malls. 5.0 out of 5 starsExcellent tutorial. Crisp and to the point. Nice crisp presentation. Not much hand-holding here. Excellent for quick review. I found that using this for review ALONG with "The Humongous Book Of Trigonometry Problems" worked for me. 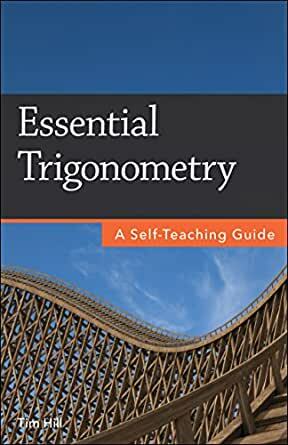 I was excited to discover a book that had such a good explanation of the concepts of Trigonometry. Tim Hill deserves a lot of credit for presenting the topic in such a great way. Many books go on for pages trying to explain Trigonometry and leave the reader clueless of the essential concepts. This book goes straight for the concepts making it brief, but offering a deep understanding. Exactly the kind of math explanations that are most useful to me - a math amateur looking to brush up and master core concepts. Love it. Trigonometry made simple! This book helps me understand and learn Trig. better than when I had no access to books like this! !